What is a diz file and how do I open a diz file? The DIZ file extension is appended to a text file that contains descriptions of program distributions in the ZIP archive. This file usually appears with the name file_id, and this file format was first used in Bulletin Board Systems (BBSs), but was later discontinued and abandoned for BBS platforms. There are many BBS applications in existence and are classified into two types. These two types include Active Software list and Classic Software list. Applications that fall under the Active Software list are programs currently in use and supported by its developers, while applications classified in the Classic Software list are those that have been discontinued and phased out. The term "file_id" means file identification, while diz stands for descriptions in ZIP file. When written and viewed in lowercase, users notice this name as ZIP  from the original DIZ extension if read upside down. 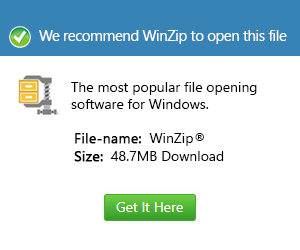 ZIP files normally contain multiple compressed files, and these compressed archives make it easier to share installation distributions and other content on the network and via the Internet.